We usually end up having a form of tacos or some Mexican or Cuban dish every week. After many trials and taste tests, I finally came up with a winning combination of flavors. Andrew and I will sit down to watch a movie, and instead of popcorn, I will get chips (yes I know that is the unhealthy part) and homemade salsa and eat the entire jar during the movie! But, you know? I don’t feel badly about doing that. I would much rather my family eat salsa instead of ice cream or cookies, etc. 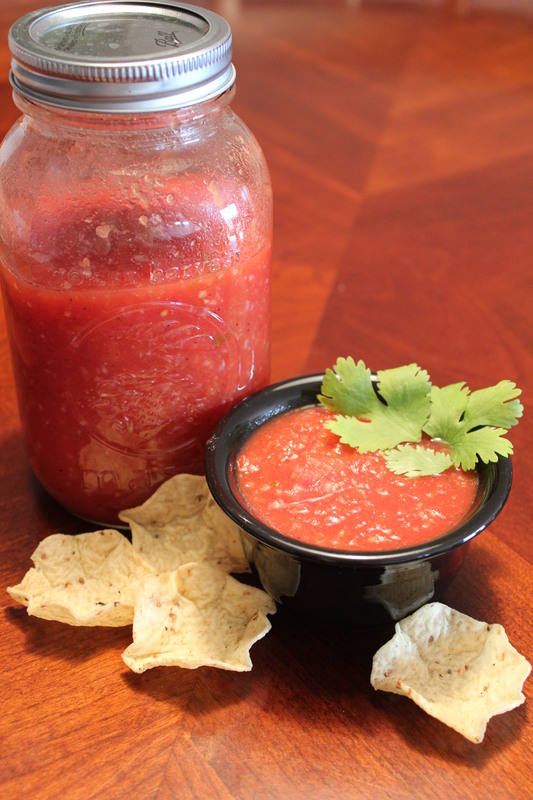 Don’t get me wrong, on occasion we will eat those items and love it, but when we have probably 2 movie nights a week in the winter, I much prefer us to eat salsa. Anyhow, we eat this salsa, weather it be for a snack, or with our Mexican or Cuban meals every week. 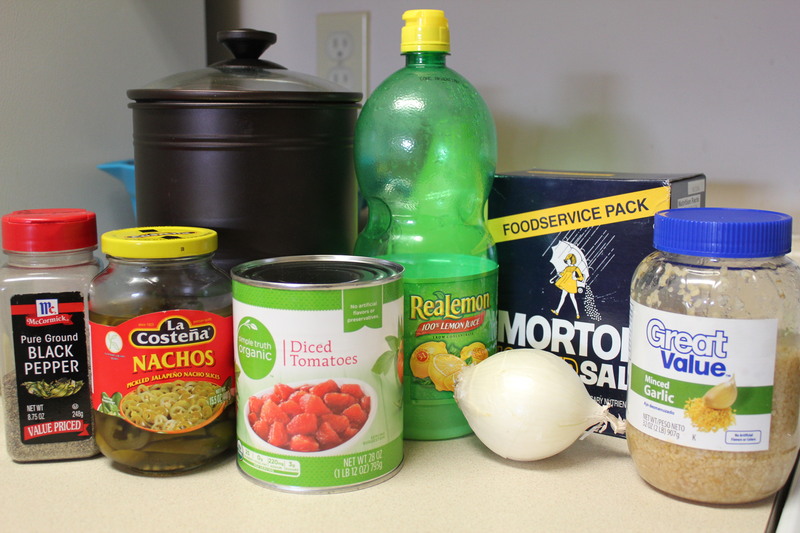 You will need, a 28 oz can of tomatoes, salt, pepper, sugar, onion, garlic (or garlic powder), lemon juice, and jalapenos. 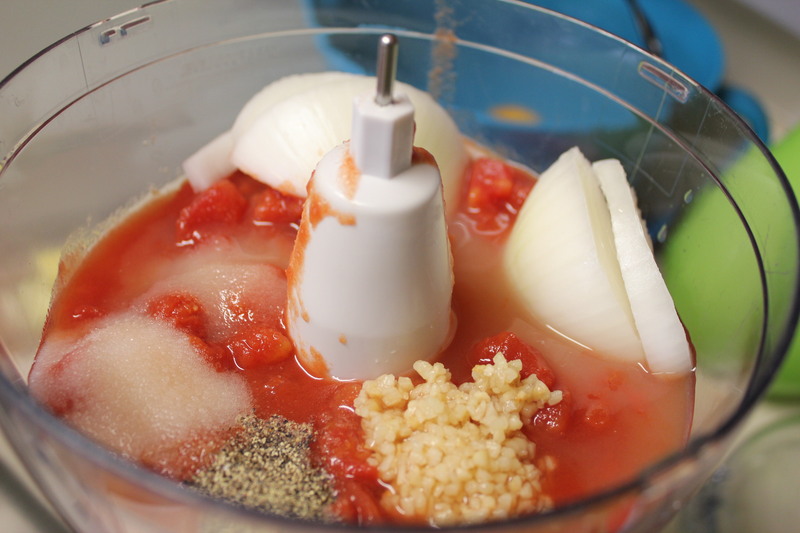 In a food processor, dump can of tomatoes, 2 tsp salt, 1/2 tsp pepper, 1 tsp sugar, about 1/2 Tbs minced garlic (or you can do 1 tsp garlic powder), 3 tsp lemon juice, and a half of a medium onion. Blend very well. Now that you have blended it very well, add your spice! Most of the time, like this time, I don’t make it too hot. Which equals out to be about 6 slices of pickled jalapenos, but we do LOVE hot things so sometimes I will put about 10 slices or more in. All depend on your taste. And then you have your product! 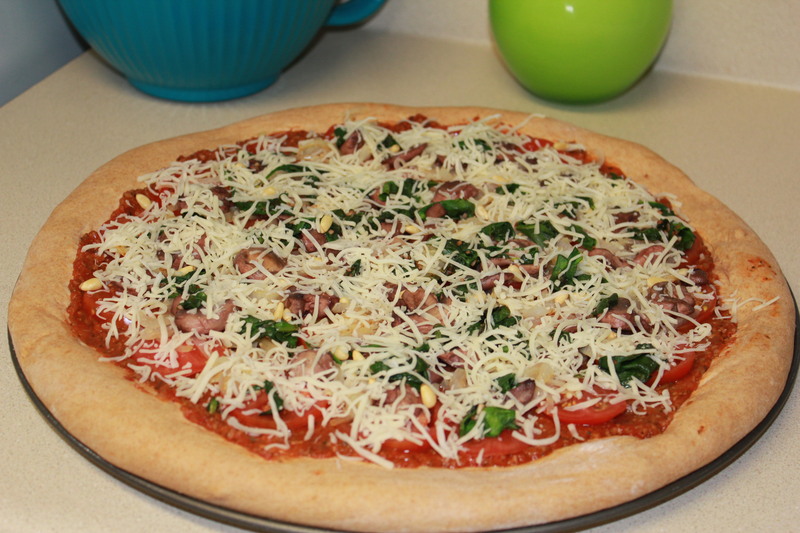 Simple, quick, easy, and delicious! 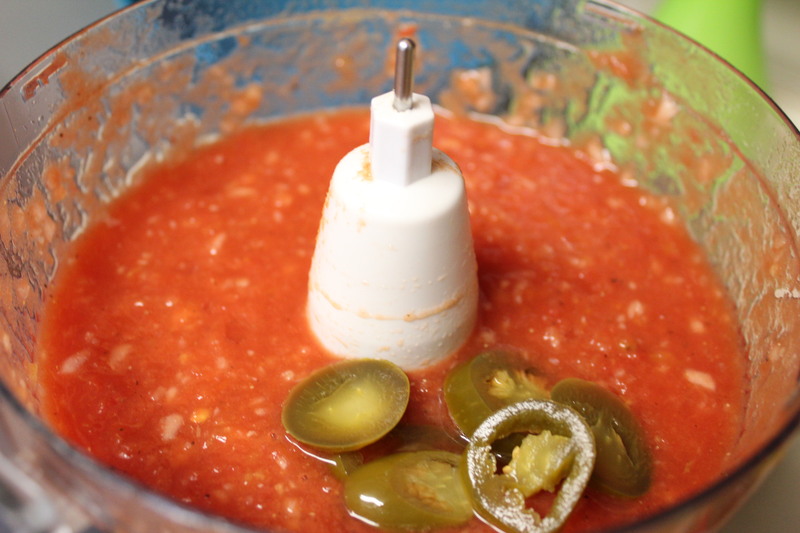 Add all ingredients except for jalapenos in a blender and blend well. Taste to make sure seasoned enough, then add jalapenos and blend to taste.